Some of the world’s top food brands have been created, due to a ‘formula’ or a ‘recipe’ of creating another product going wrong. One such ‘mistaken formula’ is that went to create the world most consumed beverage, Coca Cola. Back at Sri Lanka in the late 1950’ a family in Moratuwa was entertaining some relatives at a birthday party and the desert that was prepared went ‘wrong’ but the ‘sweetness’ in it was admired. 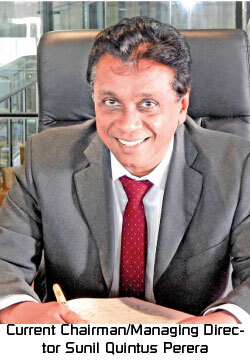 The host of the party, P. Christie Perera who was working at Colombo Agencies one of the biggest importers was later suspended pending inquiry for an offence he did not commit recalled current Chairman/Managing Director Sunil Quintus Perera, reminiscing the birth of a game changer in the Sri Lanka confectionery industry. Idling at home he thought about dinner and a sweet desert and talked to his wife, Mabel and changed a recipe which she had in possession and made a sweet. Then he packed it and sold it to some of the shops in Moratuwa. The product caught on and shop owners wanted more. He then began to make the sweet in a more organized and large scale manner and branded it as ‘Glucorasa jujubes’ which was later, Sri Lanka’s highest selling ‘sweet’ for several decades. After a few months Colombo Agencies called him and said that the inquiry against him was completed and he was found innocent and wanted him to come back. Sensing that there was a better opportunity in the Glucorasa business he declined the offer. However the Colombo Agencies management felt guilty and then offered him long credit for some of the raw material that had to be imported to make this sweet. With the business growing he decided to name the sweet as ‘Glucorasa’. The others in the family also helped and in two years’ time the first Sales Manager F. P. Perera, (known as Anton) who is the brother of Christie, was appointed. The first major investment was a lorry which was bought for Norbert at Rs. 750 for the distribution of Glucorasa. Growing in confidence they decided to introduce more brands and then jellies chewing gum, peppermints, toffees and wafers were introduced and these products too became instant hits and earned the market leader position in all their products. 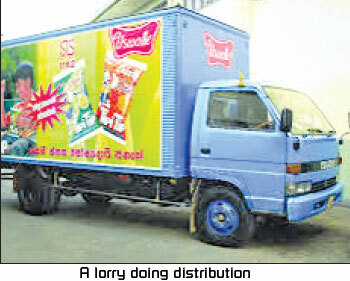 The Company which was named as Uswatte Confectionery Works and moved to Galle Road Rawatawatte was consolidating its position in the market and some of the products were exported as well. The employee strength increased to 300. However with the closed economy followed by the insurrection in 1971 their business suffered a major setback with the distribution network being restricted and also raw material imports including liquid glucose curtailed. 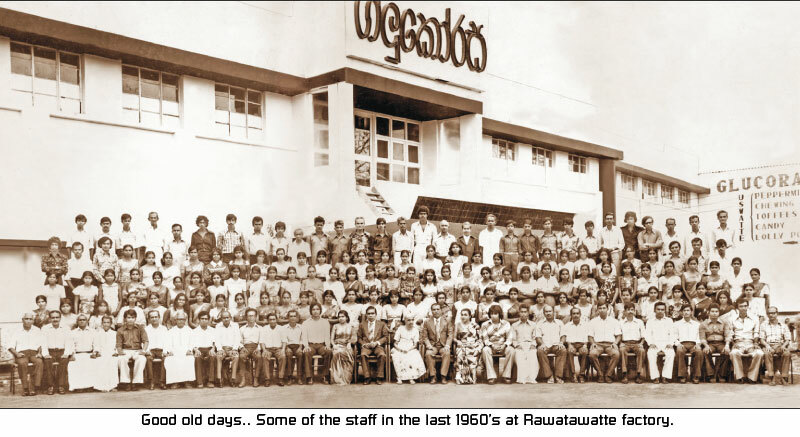 In this backdrop the company was faced with major financial constraints and by 1977 Uswatte Confectionery Works employee strength narrowed to less than 10 and production too came down. 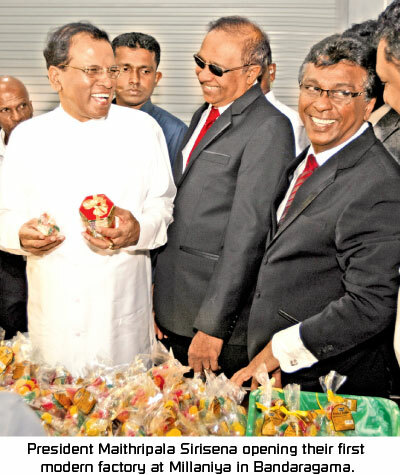 “I also decided that the venue in Ratmalana factory was not suitable to have the factory as my father’s house was behind it and people were constantly going in and in and in 2012 I purchased this 10-acre land where Uswatte Confectionery Works is currently situated in Bandaragama. I had to start from scratch and build up this gradually and completed the whole set-up in three years converting a bare jungle into a factory complex by building from brick to brick by investing every rupee saved to stay afloat amidst tight financial constraints”. This new ultra-modern factory and office complex of Uswatte Confectionery Works (Pvt) Limited, built at a cost of Rs. 200 million, will be opened by President Maithripala Sirisena at Millaniya in Bandaragama. “Being able to build this state-of-the-art complex on our own land within three years was a dream come true”.With the business back in to its glory we introduced several new products and also started exports to many countries. Today the company also provide employment to over 550. He also introduced his family members to the business and Director of the company Shanura Perera, who underwent training to become a pilot and later joined his father’s company. His daughter Suhanya M. Perera Ockersz also joined the company to handle the accounting sector. Growing in confidence we are now taking another major step by opening the second factory at Bandaragama to manufacture biscuits investing Rs. 400 million. “Today, we can be happy and proud of this great victory which was the result of all our hard work, dedication and commitment”, he said.